I’m excited to bring you this network marketing training because it’s going to help you get your prospects to make a FAST, on the spot decision on whether to join you or buy your products or services. I remember the days when my prospects would literally drag the whole decision process for weeks…ugh! And all I wanted were prospects excited and eager to join or buy from me without hesitation, silly objections or a million questions about my business, service or product. Wouldn’t it be great if for a change prospects were making fast decisions on whether to join or buy from you? 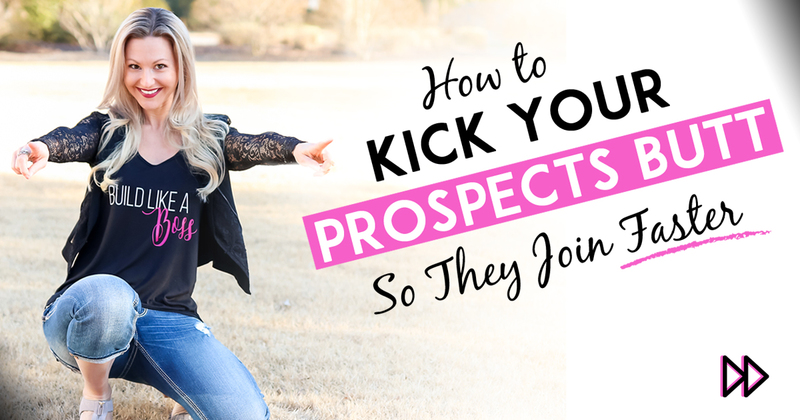 In this Episode of Tanya Aliza TV, I’m going to show you how to get your prospects to make a FAST, on the spot decision to buy or join your team…but most importantly, I’m going to show you how to do this ETHICALLY without being salesy, pushy or plain rude. This week, since we’re talking about building a brand that attracts people to you, so you can give them a gentle kick in the behind when they start dragging their feet. 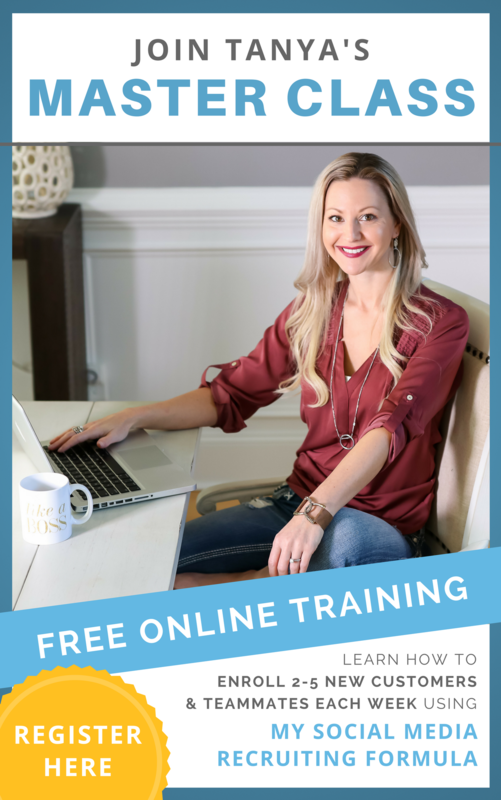 I’m hosting a free training webinar where I walk you through The 5 ingredients you need to build a profitable brand online, so you can build your authority and credibility and make the sales process a lot easier for you in your business. If you want to create success in your business fast, you’ll need to learn how to help your customers make a fast decision about buying your products or joining your business. But that’s hard to do when prospects start to dish out all sorts of silly objections and take forever to make a decision. I’m going to share some scenarios with you where a prospect has given me silly objections or statements that just make me want to chuckle and reply back with a reactive response to their silly objection. I’m pretty sure you’ll be able to relate to some of these silly objections and probably have heard them many times yourself. But I’m also going to share with you how I’ve been able to give my prospects a gentle smack in the booty when they need it without them thinking I’m rude or pushy. Network Marketing Training – What’s the minimum that I can come in at? And you’re probably thinking that too…because it makes no sense that someone would want such BIG results, yet want to come in at the smallest investment. It’s only a $500 investment to be able to change your life and finances around! My reply to that; “Hmmm… who wears the pants in this relationship”? You can actually get away with saying some pretty blunt things to your prospect if you have a respected personal brand built online. And by doing so you can have a bigger impact and get them to start playing big in their life. After working my business for many years, I’ve found that it’s easier to help a prospect change their thinking if it doesn’t serve them when you have a well respected personal brand online. That’s why I’ve been building my brand online since 2010 and it’s the key to being able to help prospects make a decision fast by being kind yet blunt…aka… a swift and gentle kick in the booty. So now whenever someone gives me a silly objection I typically give them silly response right back…obviously in a way that’s light and funny but my whole goal is to reframe my prospects thinking. And why do I want to reframe their stinking thinking? Because I want to help them be successful and reach their goals! Network Marketing Training – Would YOU give Oprah silly objections? Let’s say you’re on Oprah’s website and you see a banner at the top that says: Would you like to work with me? So you go on to fill out the application and Oprah calls you and she’s interested in having you work with her as well…your dream job come true! Now the reason Oprah can say this to me and I wouldn’t be offended is because she has a well-respected brand that she’s worked really hard to build. So naturally many people respect and look up to her. If you build a personal brand online where you deliver great content and you become the go-to person for a specific niche, you’ll be able to be blunt with your prospects and serve them in a bigger and better way. But you can’t do that with someone who doesn’t know you from Adam. If they’ve never heard of you, never seen you online…then being blunt won’t work. This is why for many years I’ve been encouraging and training entrepreneurs and network marketers to start building their brand online, so you can have an easier time attracting people to you and being able to close them into your business. So how do you build your brand online? Well, there are 5 ingredients that you’ll need in order to build a profitable brand online. 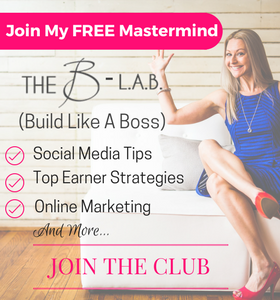 And I’m going to give them to you and break it down into easy to digest pieces on a free training webinar that I’m hosting and invite you to join in and get registered. You’ll learn exactly what I’ve done, the things that I would avoid doing if I was to get started today and also my scripts and processes, so you can crush it in your business with your online brand. You can get registered for this free training webinar by clicking on the yellow button below. The best network marketing training tip I can give you is that success in your business relies heavily on being someone who delivers value and has a well-respected brand online. And by doing this you’ll be making your life and business a lot easier if you’re not having to constantly drag people into making a buying decision with you. Doing that for too long is going to leave you feeling burnt out and exhausted. Business doesn’t have to be that way and your prospects can pick up on whether you’re burnt out and exhausted and this can actually turn them off. So decide today to take one step closer to creating your brand online so you can create a business and life you love and deserve. 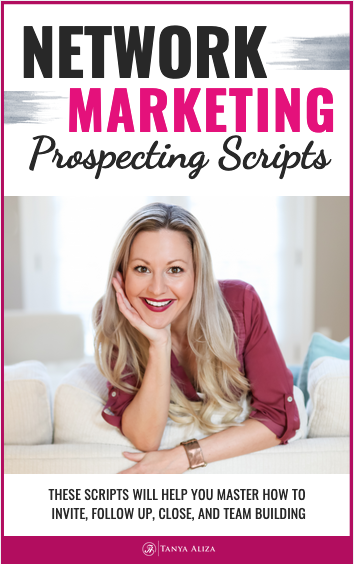 Come join me on this exciting training class that I’m hosting where I’m going to share with you my Social Media Prospecting Blueprint. This is a perfect way to leverage your time and build your business from anywhere in the World via your computer. I’ll also share with you how to Attract Leaders and High Volume Producers to your business. This is one of my favorite books on learning about the importance of Branding yourself so you can create a life and business that you love…with leverage! I saw the author speak on stage at an event I was at in Florida and it was the best Keynote speech I have ever heard. His book is equally powerful and amazing and I’m happy to share it with you. I really love this training presented by my buddy Ray Higdon. It’s all about how to become an authority in your business through your blog and doing really simple and fun 3-minute videos that generate you leads and sales for your business. Ray has obviously mastered this art with his multi-million-dollar brand, blog and videos so he’s one trainer that you might want to check out! I’ve worked with Ray very closely and his training is fabulous! Did you get some value from this network marketing training? 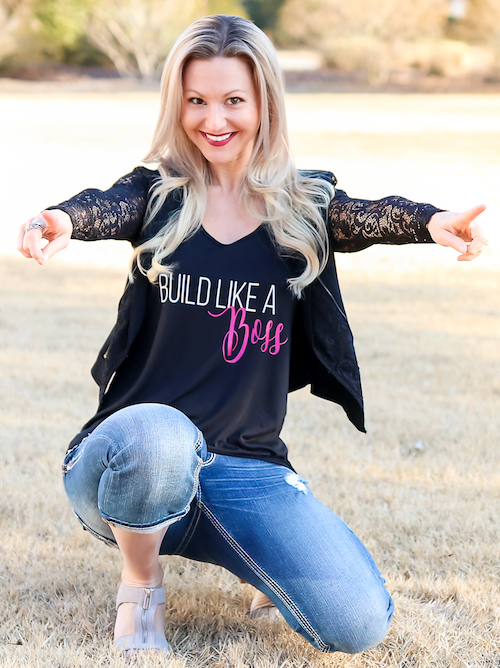 I hope you did because each week I put my heart into making sure you get some amazing network marketing training to help you and rock it in your business while creating a life you love. Question of the week: Are you a bold, tell it like it is kinda person? Share that with me in the comments section below! I’d love to hear from you.